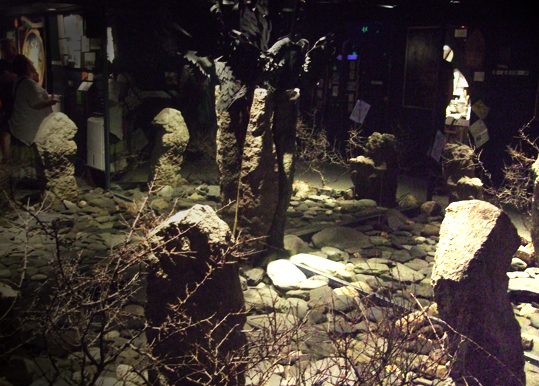 This stone circle is a lost tableau from the Museum of Witchcraft and Magic in Cornwall. I was reminded of it when I read Spells from the Wise Woman's Cottage (reviewed on Saturday), which mentioned that the stone circle tableau had been replaced by the exhibition space - currently displaying Poppets, Pins and Power. Then, when I was looking through my old photos for a picture of the cottage at the museum, I also found a photo I had taken back then of the stone circle. Here it is.